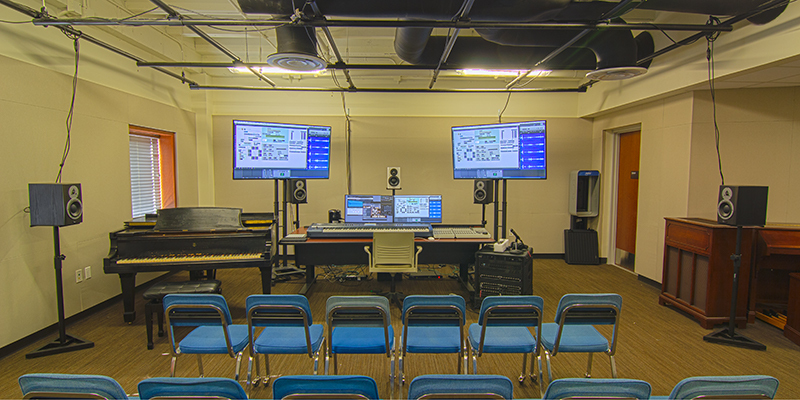 Alinea provides space, tools, and specialized guidance that fostor collaboration and exploration of new interdisciplinary approaches to the arts. 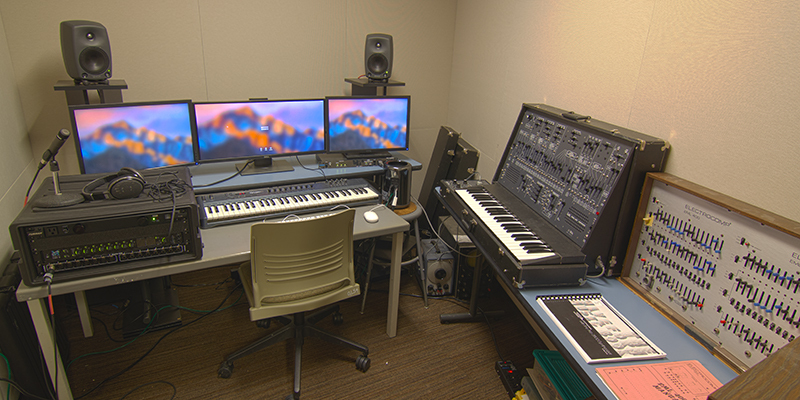 Alinea's current space houses specialized equipment for research involved in creating fixed and interactive electroacoustic music, scoring for film, and experimenting with other arts technologies. Only a couple of classes meet in Alinea to ensure the space is left available for researchers and compostion students to work on their own projects.